Baird, an employee-owned international capital markets, private equity, wealth and asset management firm, will host its 18th-annual Business Solutions Conference in Boston Feb. 23-24. The conference will bring together several hundred institutional and private equity investor attendees to hear presentations from Business Solutions and Technology Services company executives representing a range of sectors including: Customer Care, Education, Facility Services, Financial Technology Services, Human Capital Services, Information Technology, Marketing and CRM Services, and Professional Services. As a preview to the conference, Baird spoke with senior research analyst Mark S. Marcon about slow job growth and the outlook for human capital services companies. The monthly Bureau of Labor statistics report shows continued slow job growth. In fact, Fed Chairman Ben Bernanke has suggested it will take longer for high unemployment to drop than people expect. What should we read into the monthly employment numbers? The BLS monthly report is a little misleading. Investment sentiment is often driven by the preliminary monthly report, which is always revised. Weakness caused by the headline numbers is often an opportunity to buy the stocks of employment services companies. A smarter approach is to look at all the indicators including the monthly ADP National Employment Report and other more forward-looking reports on the labor market. If we do that, we see a picture of a labor market improving in a nice steady manner. With that said, we are unlikely to see the big jumps in jobs added monthly that we’ve seen in past recoveries and we think there will be continued headwinds. The reason is twofold: First, looking at the most recent recovery 2003-2007, we had only 10 months when 200,000 or more jobs were created during a recovery, and unlike today, the construction industry was doing well. State and municipal governments are also a current drag on job growth. Secondly, given population and workforce participation trends, including the first wave of baby boomers retiring, jobs need to be added at a rate of 100,000 to 125,000 per month just to keep unemployment steady, making monthly job growth even harder to achieve. So, in the best case, we anticipate a monthly average job growth of 100,000 to 175,000. Is there a silver lining in slower job growth? In addition to a monetary policy that favors easing and is more favorable for investors, we do think these trends benefit temporary staffing firms. In fact, we are projecting this to be one of the best periods for these companies for a variety of reasons. Overall, employers are still uncertain about the sustainability of the recovery. They are worried about a number of things including the value of the dollar, uncertain tax rates and rising health care costs. Given this continued uncertainty, employers will embrace the flexibility staffing firms represent. In addition, the availability of high-quality labor given the number of displaced workers remains high. Which temp firms do you like? While we think conditions are poised to improve for all of the staffing companies, among our favorites are Manpower Inc. (MAN), an investment play on the global recovery, and SFN Group (SFN), one of the leading staffing companies in the U.S. and an undiscovered name for many with an attractive valuation. We also like KForce Inc. (KFRC), a provider of professional and specialty staffing services. We think KForce is underappreciated in terms of the tremendous steps they have taken to improve their model and gain share through a centralization of their recruiting efforts, which enables them to shift their capacity to meet demand. Similarly, will recruiting firms benefit from slow employment growth? Yes, we are projecting strong growth for recruiting firms as well. This may seem counter intuitive. Again, there is a desire for flexibility on the part of employers which has prompted many to outsource recruiting. We think this trend will continue. Additionally, the retirement of the first wave of baby boomers has created more churn in the workforce and fueled the need to recruit talent. Which recruiting firms do you like? The company that stands out is Korn Ferry International (KFY). In addition to their strength in executive search, they continue to excel at ancillary services as well. The management team is well regarded and provides great leadership for the organization. What about other employment service providers? Here again, companies will try to maintain flexibility and generate efficiencies. If they can implement technology tools to benefit the company, they will. Paychex, Inc. (PAYX), for example, benefits from improved employment as they get paid per paycheck processed. Also, their customer turnover rates are down as fewer companies are going out of business as the economy improves. Paychex will also benefit from the normalization of interest rates, which have been unnaturally low. A more normal float interest rate allows them to earn more between tax filings. Do you have similar views of HR Technology providers? Yes. The cyclical market recovery is amplified here by secular growth and a firming pricing environment. The fastest growers are The Ultimate Software Group, Inc. (ULTI), Taleo Corporation (TLEO) and SuccessFactors Inc. (SFSF). All have leading-edge services offered through a software as a service (SaaS) platform that is rapidly gaining share. Each offers their solution as software through the Internet or cloud, so companies don’t have to buy software, they just pay a service fee to use the solution. 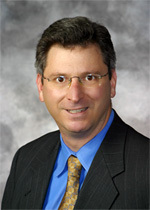 Mark Marcon is Baird’s senior analyst covering Human Capital Services. Prior to joining Baird in 2005, Mark was at Wachovia Securities for seven years, where he was a senior business services analyst specializing in the human capital solutions sector. He was named as an Institutional Investor All-America Runner-Up in 2008 and 2009, and was also named as a Forbes Blue Chip Analyst for those same years. He was also named an FT/Starmine award winner for 2009. Before joining Wachovia, Mark covered the same sector for four years at Cleary Gull Reiland & McDevitt. He began his professional career at Leo Burnett Worldwide, where he spent five years specializing in business analysis and planning. Mark received a BA in Economics from the University of Virginia and an MBA from the University of Michigan. In addition to Marcon, Baird’s senior business services research staff includes Amy W. Junker (Education Services), David J. Koning (Business Process Outsourcing), Craig R. Kennison (Consumer, Leisure, Auction and Auto Services), and Daniel R. Leben (Marketing and Information Services), and Andrew J. Wittmann (Facility & Industrial Services). Baird’s Research Department consists of approximately 110 research professionals covering more than 600 U.S. companies. Baird analysts have been recognized repeatedly in The Wall Street Journal’s annual “Best on the Street” survey and honored by StarMine as top analysts.